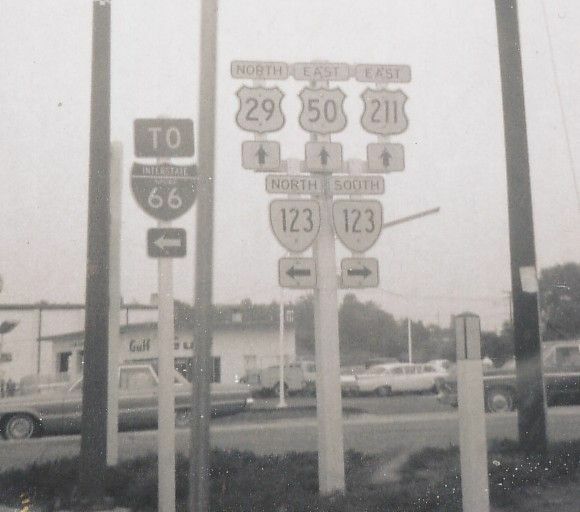 Eastbound US 50-211 with northbound US 29. These have been replaced long ago. Photo by Michael Summa, 1969. Courtesy Gribblenation.com. 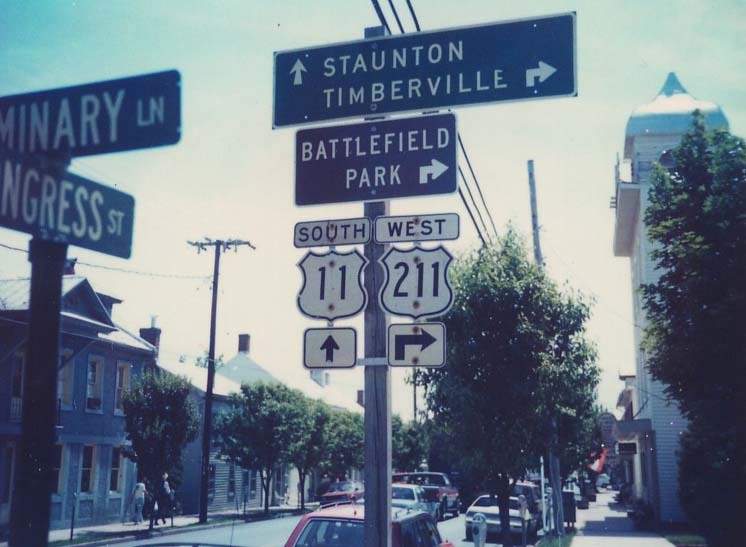 The same intersection from VA 123 southbound. 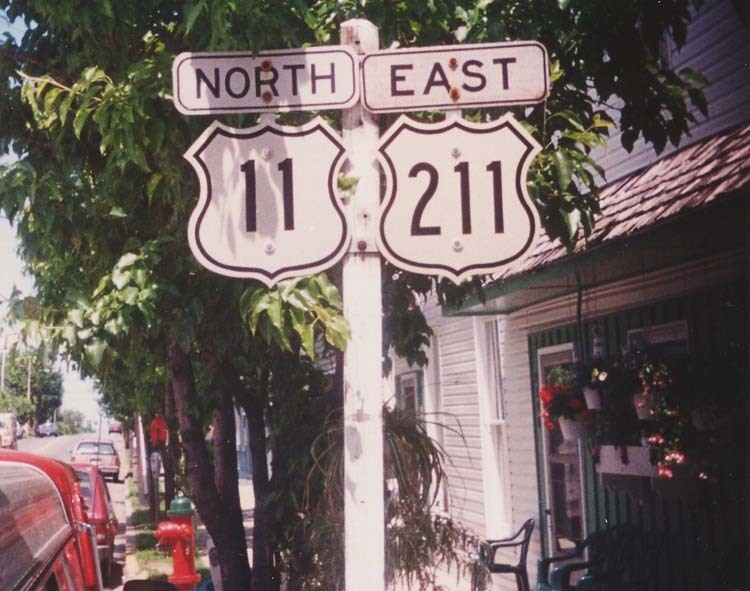 These have been replaced long ago and US 211 stopped running by here in 1980. Photo by Michael Summa, 1969. Courtesy Millenniumhwy.net. 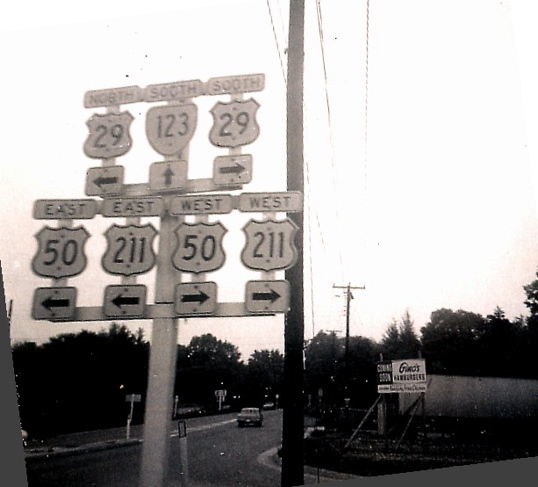 Lee St (old VA 266) at US 211 Business in Luray. These were replaced about 2011. 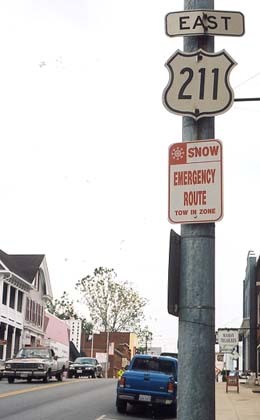 Photo by Michael Summa, 2000. Courtesy Gribblenation.com. 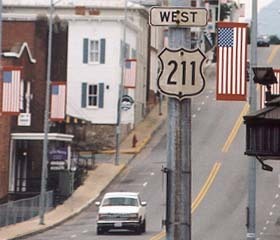 Westbound US 211 Business leaving US 340 Business in Luray. These were standing in April 2012 GMSV. Photo by Oscar Voss, taken June 1, 2003. Courtesy Gribblenation.com. 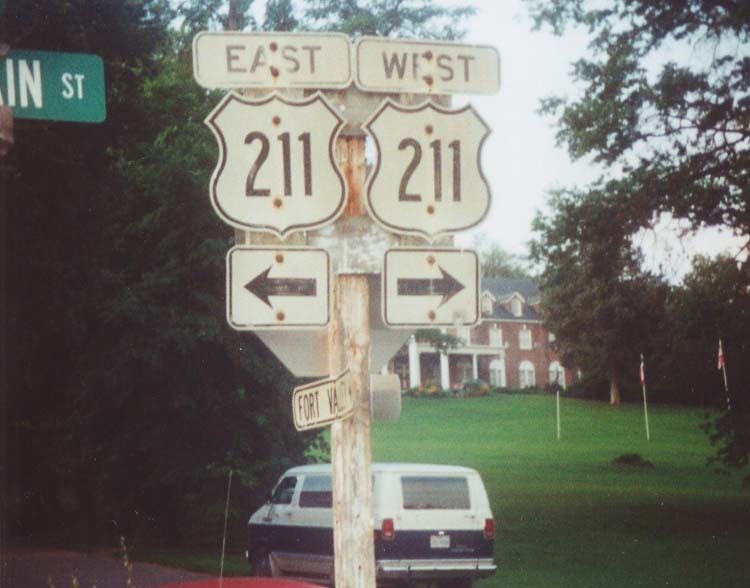 Eastbound US 211 Business leaving US 340 Business in Luray. These were standing in April 2012 GMSV. 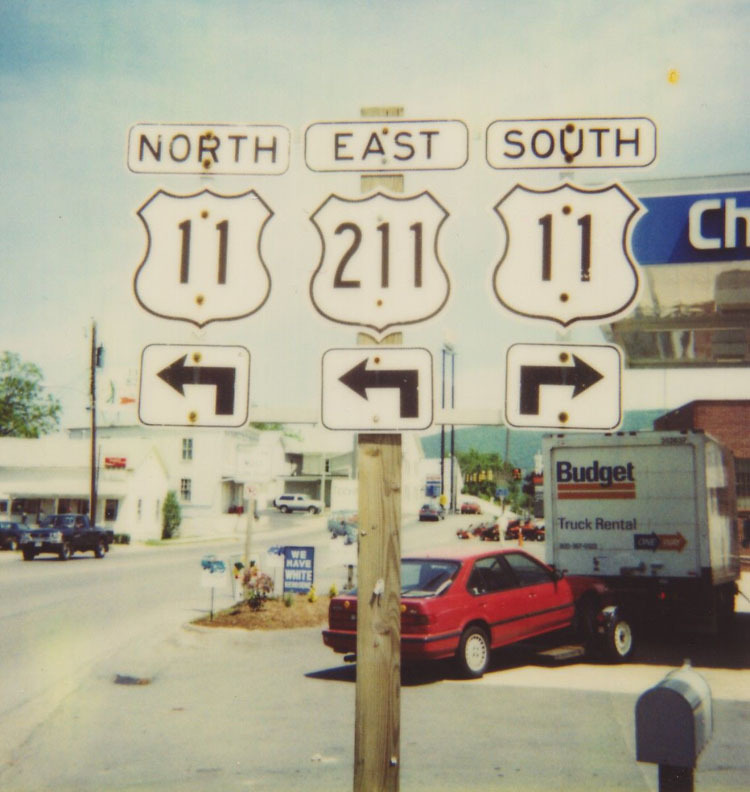 Photo by Oscar Voss, taken June 1, 2003. Courtesy Gribblenation.com.